Barbara Thorson ((Madison Wolfe)) é uma aluna do 5º ano, esperta e de língua afiada, que não tem medo de nada. E porque haveria de ter? Afinal de contas, ela é a única miúda da escola que anda com um martelo de guerra ancestral nórdico na mala e que vive a vida a matar gigantes. Pelo menos, é isso que ela conta por aí... Esta é a história bizarra e agridoce de uma jovem rapariga que se debate para derrotar monstros, quer reais quer imaginários, à medida que o mundo que construiu com tanto empenho começa a desmoronar-se aos pés de gigantes de uma dimensão que nenhuma criança conseguirá alguma vez enfrentar. Barbara (Madison Wolfe) is obsessed with fantasy worlds. She believes in magic. She believes that monsters are real. She believes that she is one of the few people who understand the world. Barbara lives her life by the philosophy that she should be a warrior instead of a coward. Mostly people think that Barbara is delusional. She's a teenage social misfit who wears a bunny ears hairband wherever she goes. 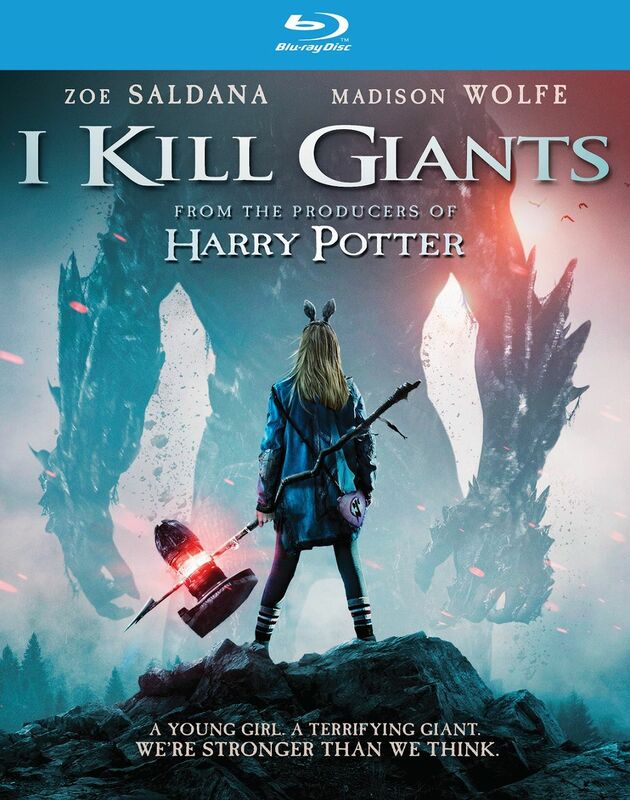 She tells everyone that she's a hunter and killer of giants because giants destroy all good things in life. As a school psychologist attempts to help Barbara face reality, Barbara teaches the adults and children around her several truths about the "real" world. Sinopse: Barbara Thorson struggles through life by escaping into a fantasy life of magic and monsters.